The Universe Within (starts at 4:40) Within each and every one of us is the history of life on this planet, the planet itself and the entire universe. This is the theme of a new book “The Universe Within.” The author, Neil Shubin, is a professor of Paleontology and Evolutionary Biology at the University of Chicago. Starting with what physically constitutes a human being and what makes a human life possible, Shubin surveys many domains of science to find out what we can learn about what’s out there from what’s inside of us. It’s a fantastically broad scope, bringing together the common history of Rocks, Planets and People. As professor Shubin explains to How On Earth’s Chip Grandits, it is the very concept of this common history that binds all of these topics, which are normally found scattered throughout disparate domains of science and academia. 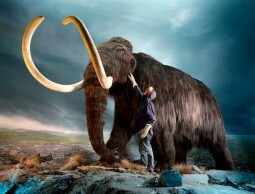 De-Extinction (starts at 14:15) You may think that when a species dies, it’s gone forever. But with enough motivation, scientists might be able to return some species to life. Popular science writer Carl Zimmer has written about “de-extinction” in the cover story of April’s issue of National Geographic magazine. So, is the movie Jurassic Park a good primer on de-extinction? 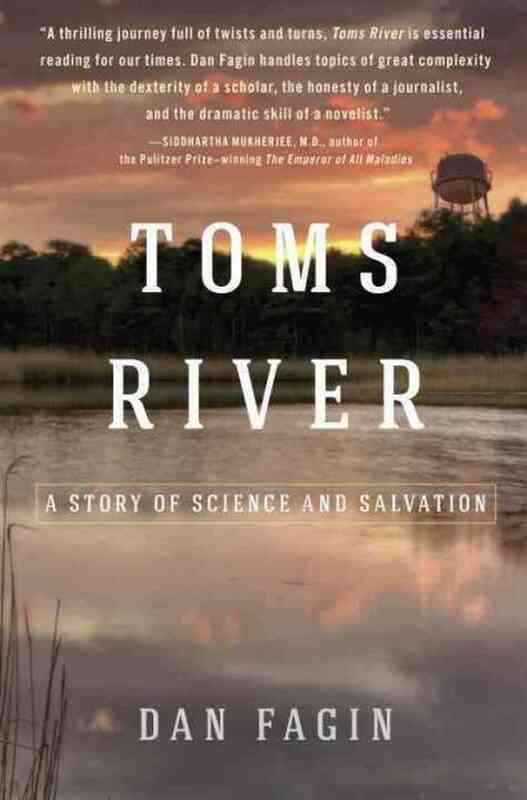 Tom’s River (starts at 5:03) Susan Moran interviews Dan Fagin, author of the new book Toms River: A Story of Science and Salvation. You’ve likely heard of the chemical contamination of Love Canal at Niagara Falls, in the mid-1970s. And the leukemia cluster linked to water pollution in Woburn, Massachusetts,in the mid-80s — made famous by the book Civil Action. 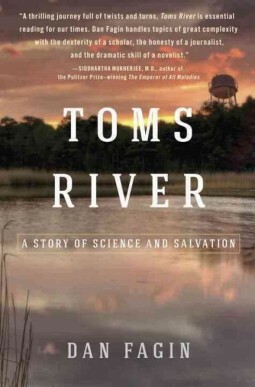 But you may not have heard of another cancer cluster –- also linked to industrial chemicals – this one in the small town of Toms River, N.J. Fagin’s book about Tom’s River is far more than a gripping investigation of one town’s struggle; it is a cautionary and illuminating tale about the complexities of finding a causal, not just associative, link between pollution and cancer. And it is a story for anyone concerned about whether the air they breathe, and the water they drink is in jeopardy. 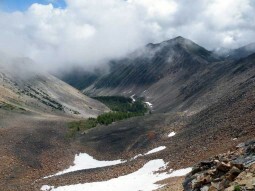 2013-03-26 Making Fire on KGNU’s How on Earth Science Show from Shelley Schlender on Vimeo. Making Primitive Fire (starts at 15:40) Roger Wendell interviews Michael and Lorritta Slayton, who are longtime practitioners of primitive fire making and survival skills. Teaching at rendezvous, schools, and outdoors shows Michael and Lorritta have delighted thousands with their “Backup to the Bic” demonstrations – how to create a lifesaving fire during an emergency when matches and high-tech lighters won’t do the trick. Primitive fire making focuses on very old, but tried and true ways of making fire. Today, Michael “Big Smoke” and Lorritta “Flint Woman” Slayton will teach us about Bow Drill Fire Sticks and the flint-and-steel methods for creating fire – assuring us that what we learn from the past will make us wiser for the future. 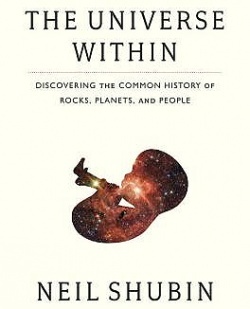 In this spring pledge drive show, How on Earth’s Chip Grandits talks with Neil Shubin, author of the new book, The Universe Within: Discovering the Common History of Rocks, Planets and People. We offer this book to listeners to who call KGNU to pledge their support and bring you more programs like this. Additionally, we have thank you gifts for listeners who pledge that include, Facing the Wave, Pandora’s Lunchbox, The Hidden Reality: Parallel Universes and the Deep Laws of the Cosmos, and The Fat Switch. These are all books we’ve featured, along with authors interviewed, thanks to the efforts of your all-volunteer science show team, How on Earth. 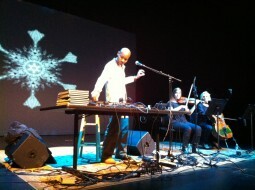 You can pledge securely on line to support this show and others at kgnu.org. 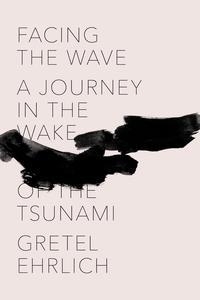 Facing the Wave (starts at 04:50) Yesterday marked the two-year anniversary of the devastating earthquake and tsunami that rocked and partially devoured the northeastern coast of Japan. Although prone to earthquakes, the Tōhoku event hit a magnitude of 9.0, tying it for fourth largest earthquake on record according to the United States Geological Survey—a magnitude greater than scientists thought possible for this region. Pandora’s Lunchbox (starts at 14:38) Did you ever think how long that energy bar you ate while skiing recently would last in tact beyond the expiration date? Or that bag of Oreo cookies you devoured last night? Melanie Warner, a local journalist and former staff writer at the New York Times, started thinking about it so much that she began experimenting with leaving some processed foods out way beyond their expiration date. 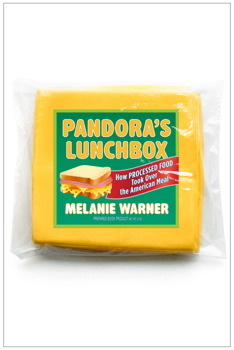 What she found was shocking, and led her to explore deeply into the “processed food industrial complex.” The result is a new book called “Pandora’s Lunchbox: How Processed Food Took Over the American Meal.” Co-host Susan Moran interviews Warner about the creators and health impacts of many iconic foods in the American diet. That’s from Ray Bradbury’s great 1950 collection of short stories, The Martian Chronicles. Today, there are plans being made to send people to Mars, a fraughtful trip of a hundred and a half million kilometers and more than a year, each way. To learn whether we will be the Martians, we chat with Brian Enke. Brian is a Senior Research Analyst at the Southwest Research Institute in Boulder, a member of The Mars Society, and the author of the 2005 science fiction novel about Mars, Shadows of Medusa. Russian Meteor (starts at 4:28) Just a few days ago on February 15th, a large meteor broke up in the skies over Russia, creating an air blast and sonic boom, which caused damage to buildings that injured over 1,000 people. We talk with Dr. Clark Chapman to ask why the universe is taking potshots at us. Dr. Chapman is an astronomer and Senior Scientist at the Boulder office of the Southwest Research Institute, and is recognized as a leading researcher in planetary cratering and in the physical properties asteroids, comets, and moons. For more than a decade Dr. Chapman has been studying the risks of comets and asteroids hitting the Earth and has been a member of Congressional and international committees regarding impact hazards. He is a founding member of the B612 Foundation, which is developing ways to detect and deflect hazardous asteroids. Dark Matter (starts at 12:45) Maybe you’ve heard about it. Maybe you even know that it is everywhere throughout the universe. 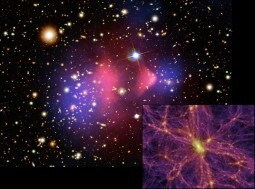 But for such a ubiquitous material, what do you really know about Dark Matter? If the answer is “Not much,” don’t worry, you are in good company; many scientists would say the same thing. But, you’re in luck because we have Dr. Martin Huber with us today talk about Dark Matter – what is known know about it and how we can detect it. Dr. Huber is Professor of Physics and Director of the Master of Integrated Sciences program at the University of Colorado, Denver. He is a member of the Cryogenic Dark Matter Search project, and on today’s show he sheds some light on Dark Matter. 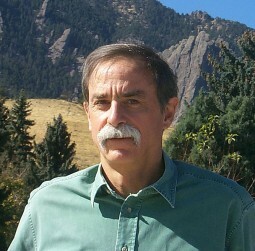 Today on How On Earth, KGNU’s award-winning science show, we sit down with Boulder’s Dr. David Wineland and chat about his Nobel-prize-winning research. The NIST scientist shared the 2012 physics award with Frenchman Serge Haroche. They’ve developed experimental methods for trapping and holding particles so that weird quantum behaviors can be studied. The research is critical to developing extreme quantum computers that may someday break today’s best encryption algorithms…and make truly unbreakable ones. Wednesday’s Mini-STEM school features Diana Tomback. Her topic will be: Evolution and the Origin of Life. 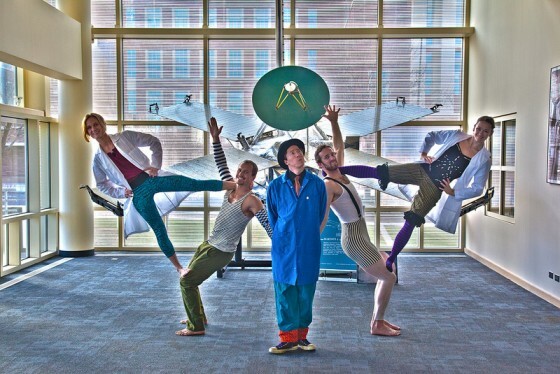 (5:20 into the show) Shelley Schlender visits the Visindi Circus to learn why some scientists by day become circus performers at night, and how science adds a whole new dimension to circus performances. (13:00 into the show) Chip Grandits talks with Brian Hynek, for the CU Center for Astrobiology and makes this request: there are ~17 Billion Earth like planets in the Milky Way according to late-breaking estimates; so in this 10 minute segment, we can just go through the list – Mark will have about 35 ns for each planet to go over the prospects of finding life there.